Our camps are expertly designed and run by Dan Fox and in collaboration with other international players and top coaches and also with Fortitude Hockey UK Ltd who are a real force in GK coaching both here in the UK and in Belgium. This two day camp will be led by Ashley Jackson also with Wesley Jackson and Beckie Middleton! 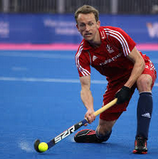 Ashley is England and GB's highest ever goal scorer at International level, was England's first FIH Young Player of the year and has played in three Olympics. Wesley has played EH National League for East Grinstead and played in 4 editions of the European Hockey League. An experienced coach, he is a qualified PE Teacher, Head of Hockey at Lingfield College and has coached players through to JAC, JRPC and the National Age Groups. Beckie is a recently retired England and GB international, has over 100 international caps and is part of the England Hockey Advanced Coach Programme. Click here to see Ashley's top five goals here on YouTube. Book one or both days. This camp usually fills up with 8-14 year olds, but older/younger players are very welcome. If you would like to discuss/assess the suitability of sessions particularly for younger/older players, contact details for course organisers are below. 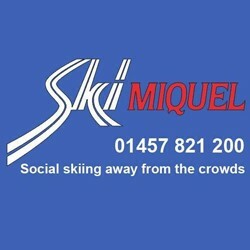 £50 per day (sibling and multi-day discounts). The day will start at 10am sharp with a break for lunch and finishing at 3pm. This camp is geared towards Academy and Performance Centre players (but is not exclusively for those in the Player Pathway). £35. To sign up, please log into your PSO account, [link to member login], select the appropriate course option from "Payment" area and complete the player registration details. Goalkeepers are very welcome to the above sessions (£15 for full day, £10 for Performance session). Water Bottle and Lunch - PLEASE NOTE Could we ask you to avoid nuts in any of the lunch boxes due to allergies.